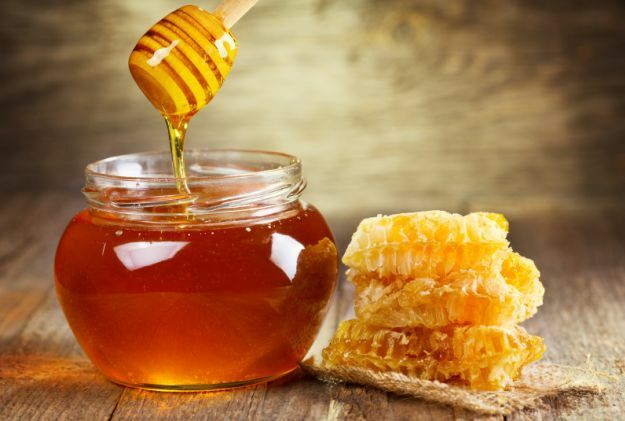 The impressive effects of honey on people’s health are well-known, due to its high content of minerals, vitamins and trace elements - unfortunately, you can find adulterated honey on the market as well. It is often a solutions of honey and glucose or mixtures of poor quality honey mixed with a high water content. Fortunately, there are some simple tricks to do at home to see if the honey you bought is pure and of good quality or, on the contrary, it is adulterated or contain a lot of water. How to Tell if Your Honey is Pure? We`ll help you understand how to tell if honey is pure or adulterated. The first thing to do when you buy a jar of honey is to read the label. Check the list of ingredients for high-fructose syrup as well as commercial glucose, these two additives are usually used to 'stretch' the honey, otherwise it will solidify. All types of honey are liquid, however, with time, they tend to solidify or “soften”. In case you bought a jar of honey that is already crystallized, it is pure honey. If you have a jar of liquid honey, you can wait a few days to see if it solidifies or you can put it in the refrigerator to speed up the process. If honey never crystallize, there are high chances that it is adulterated. We present some simple tricks that can be useful to know whether the honey that you bought is pure or has been adulterated in some way. Put a teaspoon of honey in a glass of water. If honey is dissolved, then it is not pure honey. Pure honey must remain united as a solid when immersed in water. Take a small amount of honey and mixed in a bit ‘of water. Add four or five drops of vinegar to this solution. If it forms a foam, honey may have been adulterated with chalk. Put the honey in a spoon and shot with the honey facing down. The wettest honey will fall faster. The mature honey, good quality, remains in the spoon or falls very slowly. Light a match and try to burn a bit of honey. If you see that honey catches fire and burns, it is pure honey. The unclean or of poor quality honey contains water that prevents catching fire. If you have iodine in the house, take a bit ‘of honey and mix it in water with a few drops of iodine. If the solution turns blue, honey has been adulterated with flour or starch. Take a piece of stale bread, hard and dip it in honey. You made the right choice if the bread continues to be hard even after 10 minute. If however there is plenty of water in honey, the bread will soften. The impressive effects of honey on people's health are well-known, due to its high content of minerals, vitamins and trace elements. Unfortunately, you can find adulterated honey on the market as well.